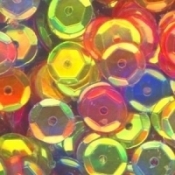 No two bags are exactly same. 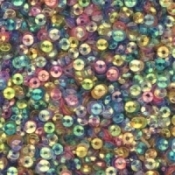 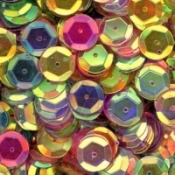 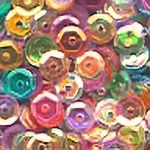 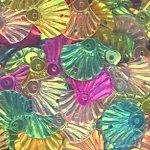 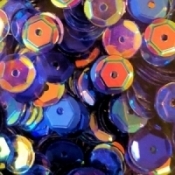 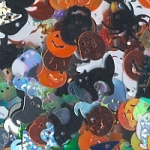 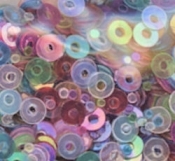 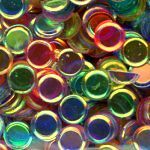 A blend of all the 6mm slightly cupped clear sequins that we offer. 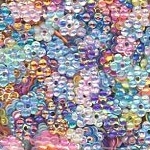 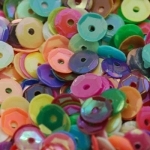 A blend of all the 6mm slightly cupped white sequins that we offer. 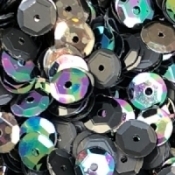 A blend of all the 6mm slightly cupped black sequins that we offer. 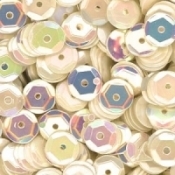 A blend of all the 6mm slightly cupped ivory sequins that we offer. 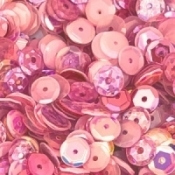 A blend of 6mm slightly cupped rose pink sequins. 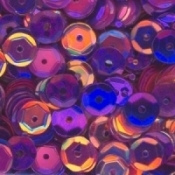 A blend of 6mm slightly cupped purple sequins. 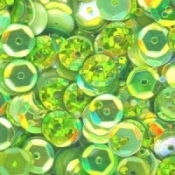 A blend of 6mm slightly cupped chartreuse sequins. 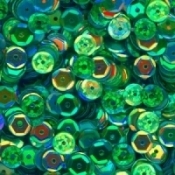 A blend of 6mm slightly cupped green sequins. 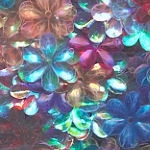 A blend of 6mm slightly cupped aqua sequins. 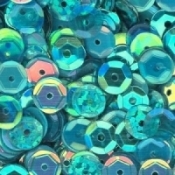 A blend of 6mm slightly cupped turquoise sequins. 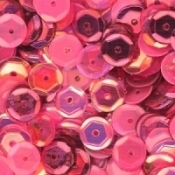 A blend of 6mm slightly cupped light pink sequins. 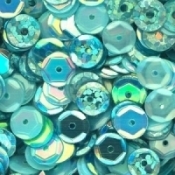 A blend of 6mm slightly cupped light blue sequins. 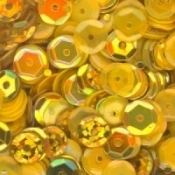 A blend of 6mm slightly cupped yellow sequins. 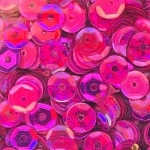 A blend of 6mm slightly cupped hot pink sequins. A blend of 6mm slightly cupped dark blue sequins. 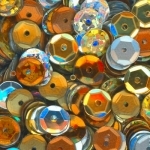 A blend of 6mm slightly cupped silver, gold and copper sequins. 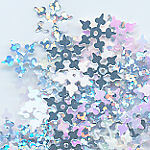 Mix of 4mm confetti. 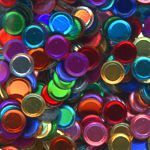 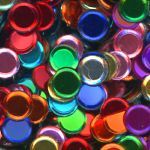 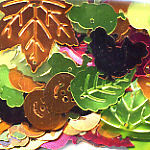 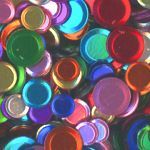 Confetti is a crimped edge disc with no hole. 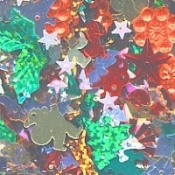 Mix of 5mm confetti. 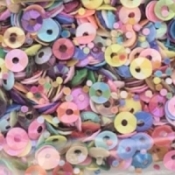 Confetti is a crimped edge disc with no hole. 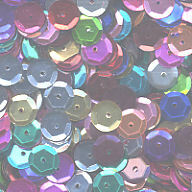 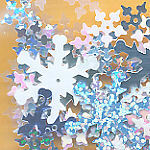 Mix of 6mm confetti. 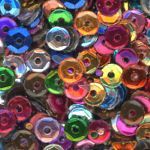 Confetti is a crimped edge disc with no hole. 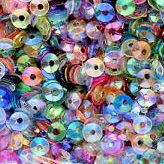 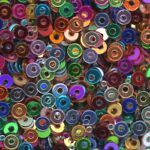 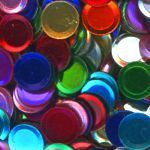 A mixed bag of sequins in all kinds of shapes and sizes. These are the dots (middles) out of sequins. 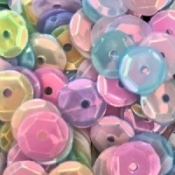 They do not have a hole in them. 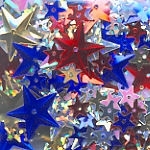 Does not contain 15mm embossed stars. 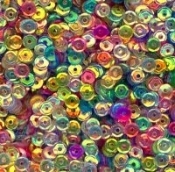 Approximate count 5850. 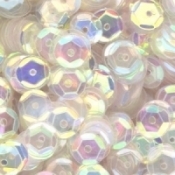 There are no holes in the 7mm Hearts. 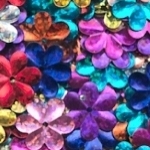 Mix of hearts, approximately 10 grams. 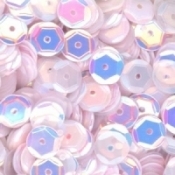 Mix of hearts, approximately 100 grams.